I love holidays. This is tied very closely to my love for traditions and seasons, which I think, is tied very closely to my need for order and predictability. Let me explain. 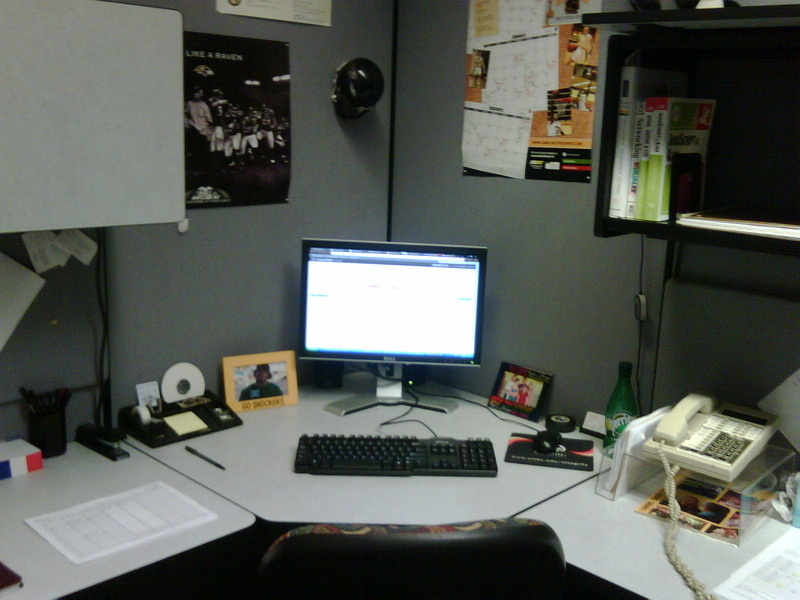 My desk is very neat and very regimented. Everything has a place, and everything is in its place – all the time. I don’t like things to be drifting into areas where they do not belong, because, well, that’s not where they belong. When something is displaced, I notice and return it immediately. There is order in my universe. I also love the seasons, especially the changing of the seasons. I like how there’s a definitive start and stop date to seasons, and I ensure that my personal routines adhere to this framework as much as possible. For example, I will not turn on the heat in the house before November 1st – period. That’s when my heating season starts. On the other side of the year, I will not turn on the air conditioning until June 1st. Every fall, I neatly fold my “summer clothes,” tee shirts, shorts, etc., and box them away in the closet until spring, replacing them in my dresser with the sweatshirts that had been stored away for the previous six months. I guess this is my way of marking the passage of the seasons, and thus the passage of time, in an orderly, disciplined manner. Likewise, my holiday schedule is similarly regimented. Halloween decorations are to be displayed from October 1-31 only, because September isn’t Halloween season yet and November is Thanksgiving season. So, on November 1st every year, the Halloween decorations return to their boxes and the Thanksgiving decorations go up. On the day after Thanksgiving, “Black Friday,” I can’t be bothered with shopping, because that is the day when the Thanksgiving decorations must go away, being replaced by the Christmas decorations. (While we decorate, my wife and I prepare a second, smaller Thanksgiving meal, because we rarely get enough leftovers from the actual feast.) Because of the sheer number of decorative items and the degree of difficulty involved (the tree alone may take hours to adorn satisfactorily), I allow Friday and Saturday to complete this task. But be assured, by the end of the Saturday after Thanksgiving, it is done. Christmas season officially ends for me on January 1st. On that day, all the Christmas decorations will come down and be stored away for the year. This act officially ends my holiday season. But really, it goes farther than this. During the various holiday seasons, there are certain activities that I must engage in, or else I’ll feel like I’ve missed out on a key component. 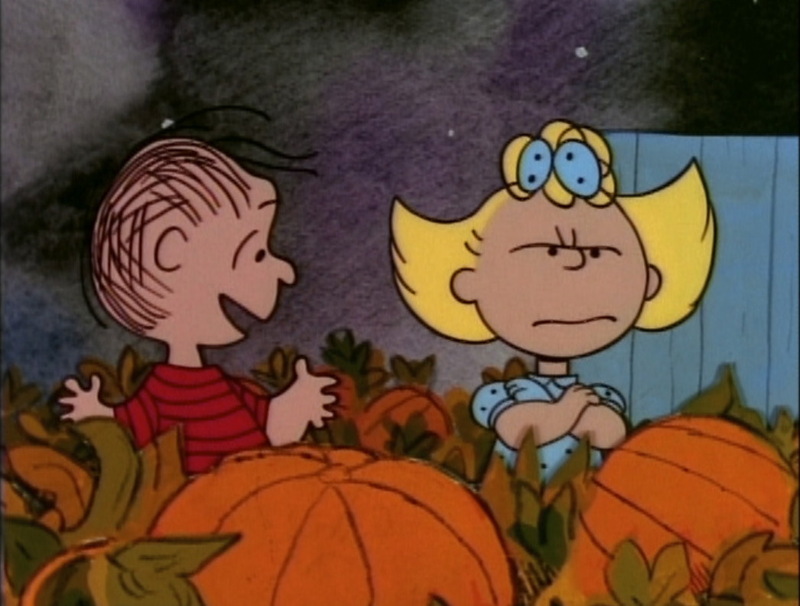 For example, I must watch all of the original Charlie Brown specials in their appropriate season (The Great Pumpkin, Charlie Brown Thanksgiving & Charlie Brown Christmas). I must also see all of the other TV specials from when I was a child (The Grinch, Frosty the Snowman, Rudolph, etc.) 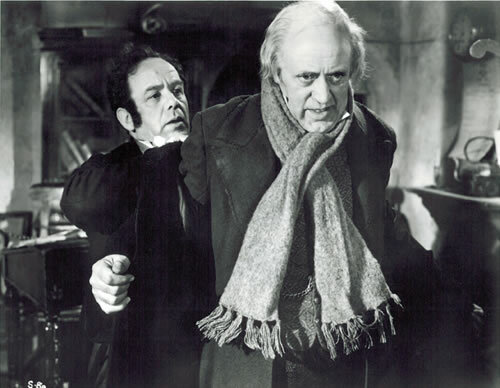 I must also watch Alastair Sims’ 1951 version of A Christmas Carol. "It's not convenient - and it's not fair!" Now back to Thanksgiving. 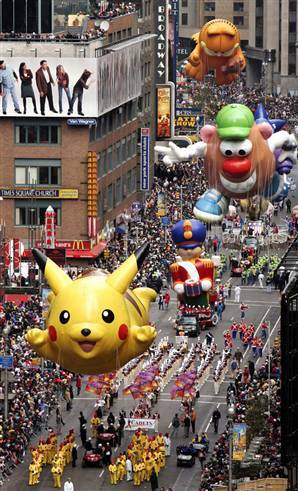 Today, I will wake up and watch the Macy’s Thanksgiving Day Parade on NBC. I will not pay much attention to the Broadway nonsense and endless interviews with actors from struggling NBC television shows, but I will become increasingly focused during the last 90 minutes as the ratio of inflatables to dancers picks up. I will attempt to interest my (now teenage) children in this and they will be less than excited (but that’s part of the tradition, too). 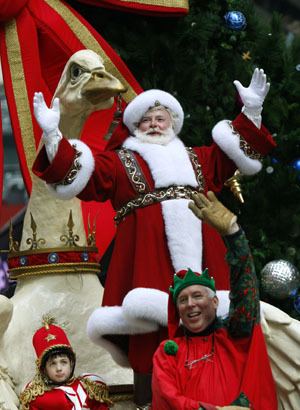 At the end of the parade, I will not take my eyes from the screen until Santa has disappeared. This may take a few minutes, as he continues to smile, wave and Ho, Ho, Ho as the credits roll for what seems like forever. But he is Santa, so I will wait. After the parade, the television goes to football, where I must watch the Detroit Lions valiantly struggle against their inevitable fate, almost as if they were the central character in a Greek tragedy. Struggle they may, but in the end, they will be vanquished by whatever team is lucky enough to be playing them (this year it’s the Packers). At halftime, my wife, our children and I will leave our home and make the short drive to her mother’s home, where the Lions game will be waiting for us. 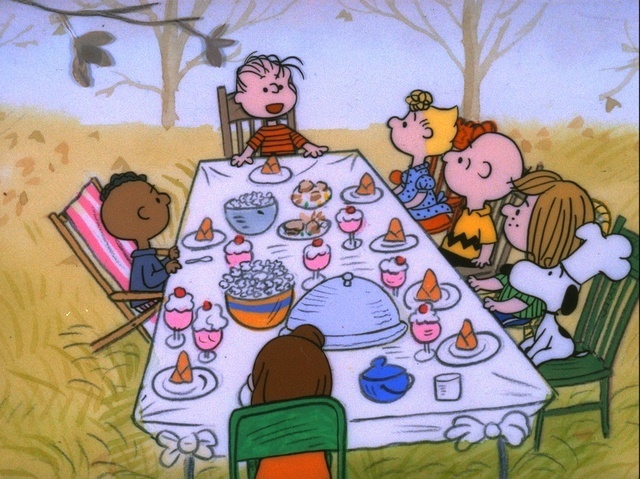 Watching the Detroit Lions lose is also an important part of my Thanksgiving routine. 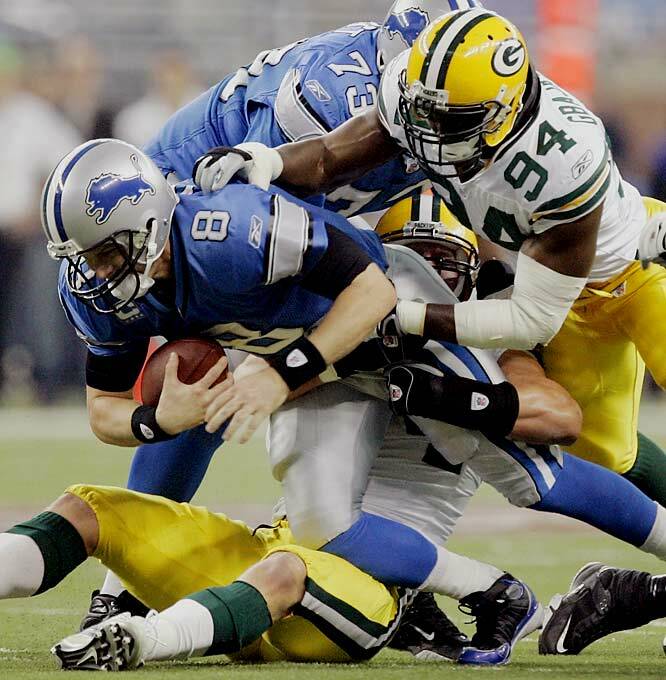 About the time the Lions’ opponents are running out the clock, dinner will be served; the fare is predictable and correct to the holiday. During the meal the television will be switched over to the Cowboys game, but I feel that this game is more peripheral to the day, and so I watch it with less intensity, often times dozing off. Eventually, the “let’s get ready to go home,” noises start to be made, the children are rounded up, and we, with a few token leftovers as souvenirs, make our way home to prepare for the work ahead of us on Friday and Saturday. With all of this having been accomplished, with each benchmark having been achieved, I will feel satisfied that one season has successfully passed into another, and I didn’t miss anything in the process. It will have been a good Thanksgiving. 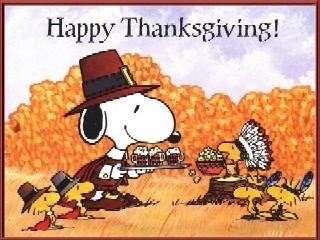 I wish an equally wonderful Thanksgiving for each of you today.